All New Captain America #1 Review! We all saw this coming. With the news that Steve Rogers, now devoid of his super-soldier serum, would be giving the mantle of Captain America to his long-time pal The Falcon, it was only a matter of time before the comic book series rebooted yet again to a number 1 issue. Rick Remender continues to write for this book, as he was the one who took Steve’s powers away in the first place, with the now infamous Dimension Z story arc. Meanwhile, Stuart Immonen helms the art for the interior and the regular cover, with his broad strokes and command over light and dark. It is one of those creative teams that you long for in comics, each working off each other very nicely. Fun Nomad reveal with bonus Bob! 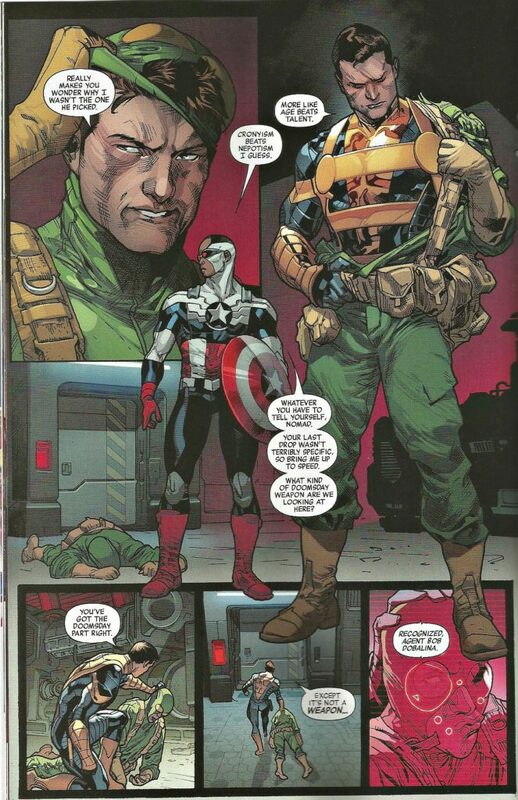 Bringing you up to speed, Captain America (Steve Rogers) was stuck in Dimension Z for over a decade, and cared for Arnim Zola’s son Ian like his own. Raising him to do what’s right and to also wield the shield, he was by his side when the final battle began. Both Ian and Sharon Carter, Steve’s love interest and Agent 13 of SHIELD were left behind when Steve eventually defeated Zola and returned to our dimension. Later in Remender’s book, both Ian and Sharon are found to be alive, albeit a little older, and return to this dimension as well when Zola plans to take it over. Now, Steve and Sharon are running the show so to speak, as top spies, and Ian has taken the mantle of Nomad. The three of them with Falcon-Cap, make for quite the super spy team. This book has everything a fan of Captain America would come to expect from a true #1 issue. It opens wil Falcon-Cap trying out his new shield and costume against a den of Hydra agents. Steve wants him to just get in, get what they are looking for and blow up the base, but Falcon wants to razzle dazzle the bad guys a little, which allows the reader to see him in action for the first time. Over at the AXIS event, Falcon-Cap is much different, having being affected by the morality whammy that Doctor Doom and Scarlet Witch performed on heroes and villains alike while fighting the Red Onslaught. (Confused? You should be!) 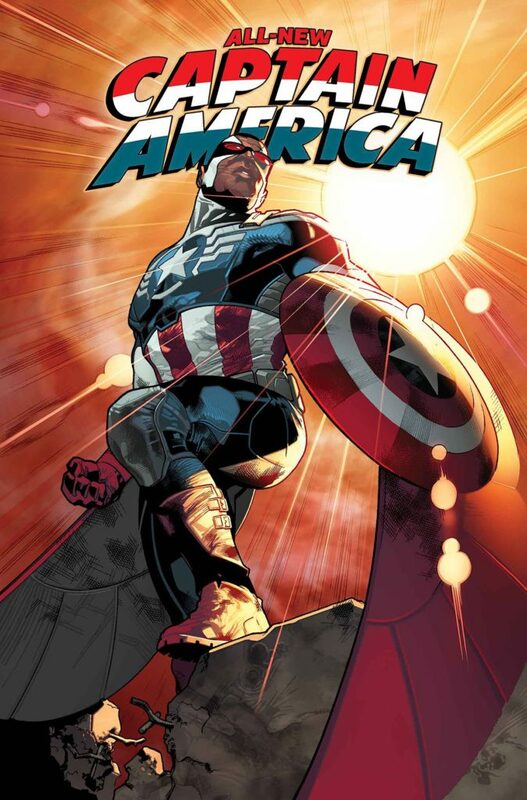 It is definitely nice to see him in the pages of this book being heroic and very Captian America-like. The exchange between Steve, and Falcon -Cap, and Nomad are all fun and done really well. The action sequences are very tight because of Immonen’s artistic prowess, and translate wonderfully on the page. There is just enough of a mystery of the reason why Nomad and Falcon-Cap are in that base and what they came for to want to pick up the second issue. The story, though well written, is very played out. 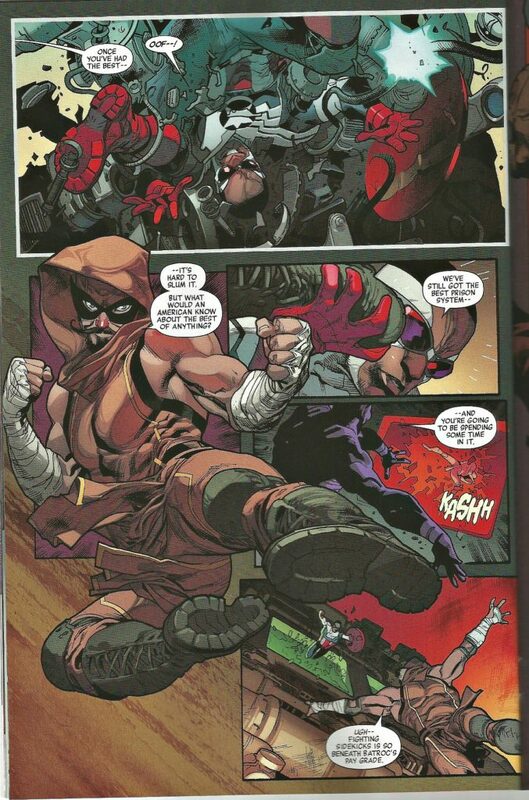 I saw Batroc and Baron Zemo coming a mile away, and the only twist is the way Nomad and Falcon interact and eventually defeat Batroc. I was hoping for more of a fresh start on the book, but it felt a lot like a story I have read a million times before in the pages of Captain America. CBH Score: 4 out of 5. Better than I thought it would be, but still kinda knew what was coming. Interested enough to pick up the next issue.